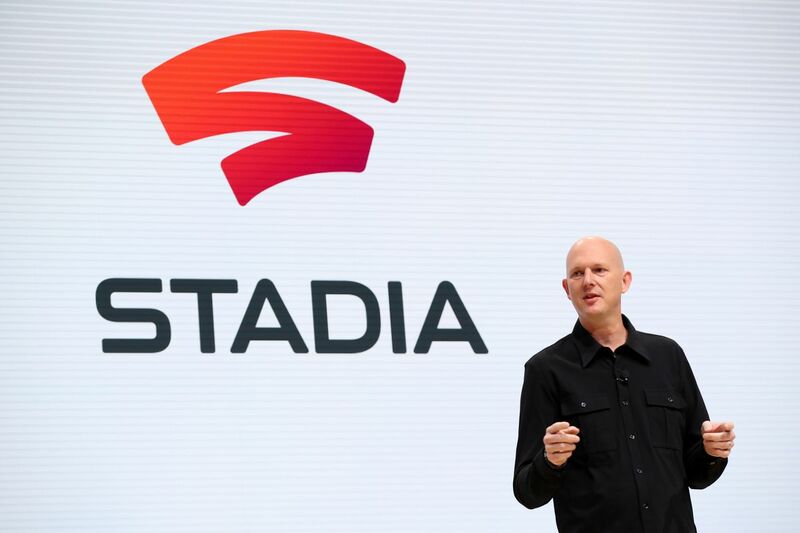 Phil Harrison, vice president and general manager at Google, introducing Google Stadia at GDC 2019. Google didn’t announce a new gaming console this week, and executives from the company would tell you that’s the whole point. Google announced a platform called Stadia, the plural form of “stadium,” which will stream games to players; the company will handle all the image processing and connections through Google-held data centers running on Google-owned fiber optic cable. You don’t “touch” the game code at all locally — you just play the game itself on whatever display you’d like. Everything is kept under Google’s control. There are many advantages to this system, including the ability to launch a game instantlywithout lengthy downloads or installations. You don’t have to worry about your gaming PC being fast enough, because Google will make sure you have all the power you need. This may also mean an end to hacking and cheating, since the software that allows cheating to take place would somehow have to be installed on Google’s own proprietary hardware. But what are we losing in return? Stadia, due its very nature, requires a constant internet connection to function. So no more gaming on the subway, or while flying. No more taking a video game camping, or playing during long bus rides. There are places in the United States where people can’t get high-speed internet at all, meaning that Stadia is a complete non-starter for many potential customers. The ideas behind Stadia make sense in a world where everyone has access to inexpensive, fast, and reliable high-speed internet, but we don’t live in that world yet. Since players won’t have access to the code that runs their games, they won’t be able to make any changes to that code. That means no modding, which is a big deal, but it also means you won’t be able to go into an .ini file and make a few adjustments to improve how a game runs. You won’t be able to fiddle with executables, and it’s unlikely that the tilde key will bring up the console for cheat codes or other shenanigans. Mods in general have been on the way out for a while now, but even multiplayer games can often be benignly improved by adjusting values deep in the game’s guts. I can’t count how many times I’ve mucked about in a folder on my hard drive just to tweak the field of view when there was no slider in the standard options. So many game designers and developers got their start because gaming used to be wide open for experimentation and creation once you purchased and installed a game. I had the insides of the game right there, on my hard drive, and I could use those guts to build and play other things or change the way that game was played — even if the developers would have preferred I didn’t. Stadia, on the other hand, gives developers and publishers complete control over their code; they’ll be able to keep any of us from ever actually touching the lines of instruction that tell the game how to operate. That’s a big win for those who don’t want anyone to be able to mess around with their creation, but it’s a huge loss for enthusiasts and people hoping to learn something from the internal workings of the games they play. Game preservation is already in a sorry state, with some means to preserving games only recently becoming legal. But how will a game be saved for future players, or even just for the historical record, when no one but Google has a copy of its code? Even if the developer were to release the code later, would anyone but Google be able to run it without the custom hardware that drives Stadia? Platforms like Stadia ask us to give up even more control of our history than we have previously, and there’s no guarantee Google will care about the games released for the platform in five years, much less 50. There is already enough worry about keeping CRT displays functional for retro gamers, but what are we supposed to do about platforms for which both the software and the hardware exists only in Google’s offices? I feel uncomfortable enough trusting companies as large and all-knowing as Google with our future, but services like Stadia will also give them control of our past. The most competitive players in the fighting game community rely on absolute precision to time attacks and combos, usually down to a single frame. There’s a reason that so many fighting game tournaments still use CRT displays and the players rely on wired fighting sticks — every frame counts, and being able to react as quickly as possible is key. Digital Foundry released one of the first performance tests of Stadia, and the results show a high amount of lag. The entire video lays out the context of this test, and this is of course not the final word about how much of a problem latency will be for Stadia games, but it’s a sobering reminder that streaming can and will slow down response time. That may not be a big deal for most games, or for most casual players, but for fighting games? Even the difference of a single frame could mean death. Speedrunners obsessively go over different versions of each game to find the best glitches and tricks to shave a few seconds off their time, and that’s only possible because past versions of games continue to exist in some form after the latest version is released. If a speedrunning record is set using a specific exploit and that exploit is patched out of the game, and there’s way to continue playing the previous version of the game, that record is all but meaningless. Many glitches also require the same frame-specific precision as fighting games, and we’ve already gone over the problems there. A constantly updating platform like Stadia — which, from Google’s point of view, has no reason to make past versions of each game available to the public — would make it nearly impossible to compare speedruns on an apples-to-apples basis. The latest version of each Stadia game is the only version that exists, or will likely exist in the future. While things like game preservation and fair competition in the speedrunning community may be more niche concerns of the super fans, the inability to ever play a Stadia game offline is going to be a deal-breaker for many audiences. It all comes down to control, and Google has control with Stadia. It controls the game code, which will never exist on a machine you can access. It controls the hardware, which was custom-designed for Stadia and is unlikely to ever be effectively emulated. The lack of cheating in multiplayer games and the ability to launch a game without a huge download are big advantages that Google and other streaming companies can bring to the table, but it’s hard to overestimate how much flexibility and even creativity we’ll lose in this sort of system.